Fundamental Trends › Blog › Don’t You Dare Trade Options Until You Read This!!! Options are derivatives and can cause your account destruction. Options are the best tool for managing risk, generating income and occasionally generating asymmetric gains. You are your own worst enemy on options by being greedy, unknowledgeable and inexperienced. Control your emotions, learn how options work, what options are for and practice trade in a paper (no money) account at your brokerage before ever using your hard earned money. “You never have played poker before, you say,” says the gambler. If you haven’t done significant studying about options before using these investment contracts, then you are the sucker at the table! I am not going to try to teach you the basics of options. You are going to learn those on your own by reading and practicing in a paper account. Here are some core resources that you should spend a few weeks reading, reviewing and studying. In addition, your online broker should have some good resources, if they don’t, you’re at the wrong online broker. If you cannot be bothered to read and practice on your own time, then do not ask me any questions and don’t ask questions in the chat because I will taunt you and instruct others to taunt you as well. Please, really, if you aren’t going to study options before trying to use them, then buy ETFs and stocks. Good asset allocation with ETFs and stocks will go a long way to building a market beating portfolio that takes less risk than the S&P 500. If you do try to use options, but choose willful ignorance and cannot be bothered to study up first, then you are at big risk of blowing up your account. You do not want to destroy your account, so scroll back up and start clicking the links. Also, bookmark this article, so you can come back to study this piece or the linked resources. I am completely serious when I say that you can ruin your portfolio by not using options the right way. And, you will not use options the right way if you don’t study first. Have I made my point? If I haven’t discouraged you by now, then read on and I will help you understand why to use options. Robert Kiyosaki of “Rich Dad, Poor Dad” fame is a big proponent of using options. The main benefits are to cut risk by limiting losses, generating income and gaining leverage on high reward opportunities. When used properly, options are far safer than using purely stocks and ETFs. Why is that? There are several reasons. Depending on the type of option contract you choose to buy or sell, you can generate income, hedge, build a position at a discount or take leverage on a good idea with a lower dollar amount at risk. There are many types of combination option trades. I make very few of those, except for one which I will describe below. In general, a lesson I learned over the past 20+ years is that usually, simpler transactions, never with margin, are better. Stick with the basics. Reminder warning: Option trading requires education. Once again, I strongly recommend the CBOE Learning Center and other resources listed above. If you are not practiced at option trading and want to be, start by paper trading a play money account online. Once you are comfortable, make a few small option trades. When you sell a cash-secured put, you are agreeing to be obligated to buy a stock or ETF at a particular price in a certain time frame if it trades below the agreed upon price called the strike price. The person or entity you agree to buy from pays you a premium – like insurance – so that you accept the risk of possibly having to buy the stock or ETF. In this way you receive income right way for only committing to potentially buy the stock or ETF – that you want anyway. I like to build a stock or ETF position with buying a starter position and then selling a cash-secured put option. In this way, I am opening a position at what is presumably a value price and preparing myself to buy more a month or two out at a potentially lower cost basis. If the stock goes up right away, then I simply keep the premium and can make another similar trade if prices dictate. For example, let’s suppose I want to begin a position in PayPal (PYPL) and my analysis says now is a good time to start scaling in: I would first buy a portion of what I consider a full holding (2-6% of portfolio value), so maybe 1% of my portfolio value. I would then sell a cash-secured put a shade below the current price. Here’s an example: I buy PayPal shares for $82. I then sell a cash-secured put for a month or two out with an $80 strike price and a $4 premium. That means I am obligated to buy more PayPal at $80 per share, but today, when I sell the put, I receive $4 per share. That means my cost basis on that lot, if it is “put” to me, would be $76. Here’s the kicker, if the stock is trading above $80 between the day I sell the put and day it expires, then I don’t buy the second position in PYPL and simply keep the $4. I can now move on, or make another similar trade if the prices make sense. Keep in mind, if you sell an $80 put on PYPL, then you will need $8000 in cash or money market in your account “securing” the potental purchase. Each option is worth 100 shares, so $80 strike price x 100 shares = $8000. Obviously, this is a strategy for six and seven figure accounts. It is completely up to you whether you use this strategy. However, I highly recommend it if you do have a six or seven figure account. It is a great tool to use once you have accumulated some assets for your portfolio. Once again, visit the CBOE website for education on options if you are not familiar with this type of option. This is the trade I do the second most frequently, though far less than selling cash-secured puts. An example of when this strategy was extremely effective was in the spring and summer of 2009 after the financial crisis had bottomed out. People who bought LEAPs on the SPDR S&P 500 ETF (SPY) or the Nasdaq 100 ETF (QQQ) did much better than people who just bought SPY or QQQ. Why? Because they were able to buy the options for a fraction of the price of the ETF and hold long-term as those indexes soared in value. This strategy is ideal for periods after a stock market crash and when the economy is expanding out of a recession, i.e. like 2009. We should keep an eye out for the next opportunity to take leverage on the stock market. If we allocate some of our money to LEAPs we can very lazily make a lot of money as the Federal Reserve and government stimulate the economy back to good health. One such place to buy LEAPs as of autumn 2018 is in oil and gas stocks. Several prominent investors, including Jeff Gundlach have discussed investing in the SPDR S&P Oil & Gas Exploration & Production ETF (XOP) to gain leverage on strong intermediate term fundamentals in oil and gas. I have bought LEAPs on XOP at various strike prices for January 2020 expiration. 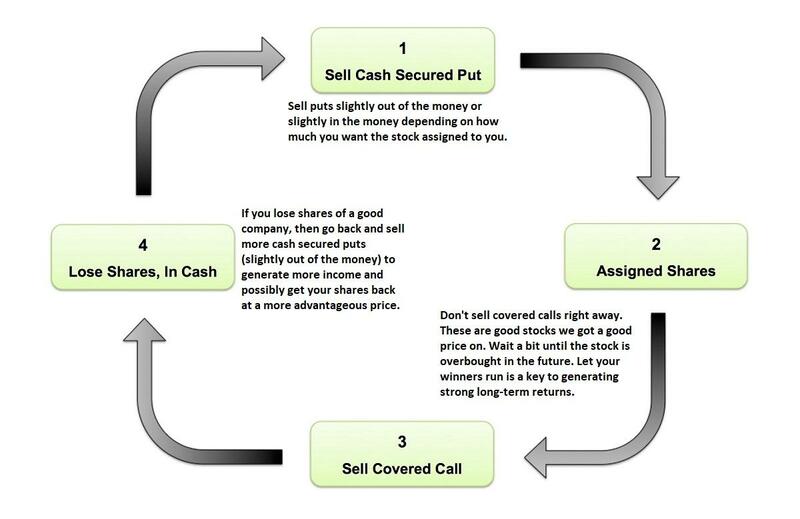 A strategy that many people use, incorrectly, in my opinion, is selling covered calls too often. My major beef with this technique is that investors often cap their gains by selling calls on a stock or ETF well before it is likely to stop rising. Those investors fall in love (an emotion!) with taking small amounts of income and miss opportunities to make huge capital gains. I like to let me winners run. It is the occasional big winner that will really turn your investment returns higher. While I will sell covered calls on a partial position when the RSI crosses 70, Chaikin is falling and an asset appears overvalued, it is not a transaction I make a lot. 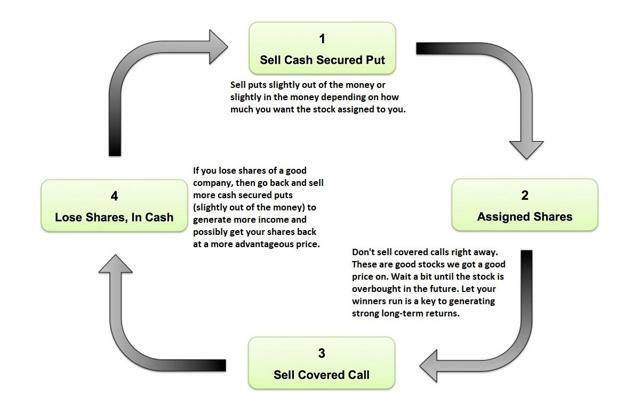 This simple transaction occurs when you own a stock, it rises and you sell the covered call. When you do that, you receive a premium and are agreeing to sell your stock to somebody at the agreed upon strike price in a certain time frame if the stock price rises above the strike price and the other person “exercises” the option. For example: I owned Apple (AAPL) last year and when it rose over $120 per share, I sold covered calls at $140 per share for a small premium of a couple bucks. The stock kept rising and I sold the shares at $140. While that was nice because I had bought the shares for about $57 a few years earlier, the stock as of this autumn has been as high as $233/share and is still well above $140. See what I mean about killing your winners. Try to avoid what I did there unless you are ready to buy the shares back at the earliest opportunity if you still like the stock. When it is time to hedge a portfolio, buying puts on an index, asset class or group of stocks can be very effective. This is not something that should be done very often though as the markets and most assets generally rise in value over time. It is rare that buying puts, similar to shorting, is a good strategy for anybody, including professional short sellers. On the rare occasions we buy puts, we want to have a specific time frame for our thesis about volatility or falling asset prices to be right. It is very easy to bet against the markets too early as price trends can be irrational and very long lived. Being early, is essentially being wrong. In general, I do not recommend speculating with buying puts. Rather, use these tools to insure your portfolio when you would like to hold onto other equity holdings. For example, earlier this year I told people to be net sellers of stock assets. However, there were assets we had I wanted to keep. To insure the portfolio, I bought puts on the iShares Russell 2000 ETF (IWM). Our trade was to buy IWM $165 December puts for about $5. What that means is that if the IWM went below $165 we would start to become profitable (less our $5 premium). IWM has been as low as the $140s so far. Let’s use $150 as an example though. If we sold the puts we had bought when the underlying IWM was $150, we would have received $15. That’s a triple of the $5 in premium we paid. Not bad. In general, we buy puts as insurance against a sudden drop in the stock market. It’s rare, but we do a time or two per year. A synthetic long position sounds like an intimidating thing, but it’s really just combining two of the trades above: a cash-secured put, with a long-dated call known as a LEAP. I use this strategy for stocks that I believe have a lot of upside, but also significant volatility. I will take a small LEAP position, maybe 1/2% or 1% of a portfolio, and then I also sell a cash-secured put for a just a touch more of the portfolio. Both puts are slightly out of the money respectively. In some instances, the put option results in my buying stock. I am okay with that because I like the company in the first place. After a rally, I will often sell a short-dated covered call to generate further account income. In taking this approach, I get long exposure to an idea, as well as, generate portfolio income. The chart above shows how you can ebb and flow trade. I have used a synthetic long strategy on many of my higher growth ideas. In several cases, over a number of years of maintaining the LEAP exposure, but also trading cash-secured puts, stock and covered calls on a company, I have generated huge income and capital gains. This approach is viable for your very best ideas, particularly the ones that have some volatility, but a long-term uptrend. Remember, volatility is normal. Learn to benefit from it. Volatility is where you will find your best opportunities. It is where you can buy low to create a margin of safety. 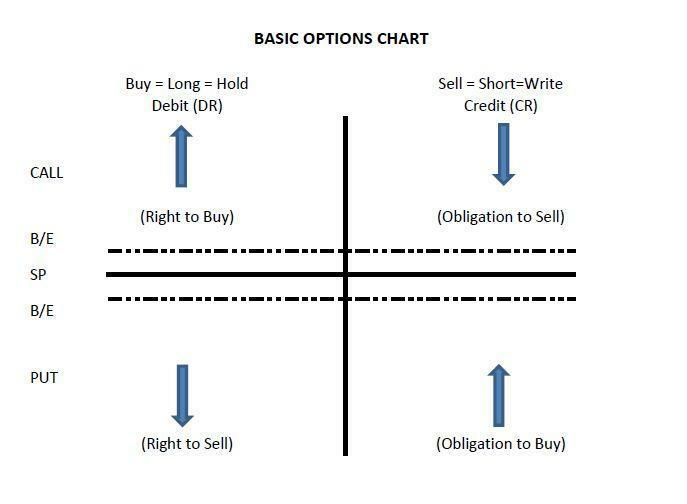 Hopefully this serves as a good primer for trading options with us. Only study and experience will help you truly maximize your ability to build your portfolio, so start with the study. One thing I will warn you about is becoming flummoxed by terms and the ideas around options. I have heard people say they cannot wrap their mind around the concepts. That is a copout. There are easy ways to remember options concepts and apply them. One way to think of options is to not think about the stock component. Think about options on real estate. Think about options like insurance. Analogies are good ways to think things through. If you become comfortable enough to use options in your portfolio, I make you only one promise: you will have a chance to beat the markets by a lot over time with lower risk. It might not happen that way, but very often it does, so long as you control your emotions, manage your position sizing, don’t act scared and don’t get greedy.